WHILE 2012 was a subdued year for the Asia Pacific contact centre applications market, steady growth is expected after 2013 as the region shakes off the lingering effects of the global economic downturn. The need for innovative functionalities and the replacement of old systems that no longer deliver sufficient value will drive upgrades and investment in advanced applications, Frost & Sullivan said in a statement. Continued deregulation in the region, along with development of verticals such as online retail, telecommunications, government, education, and banking, financial services and insurance will see a boost in customer services demand. In its Asia Pacific Contact Centre Applications Market report, Frost & Sullivan found that the market recorded revenues of US$703.1 million in 2012. 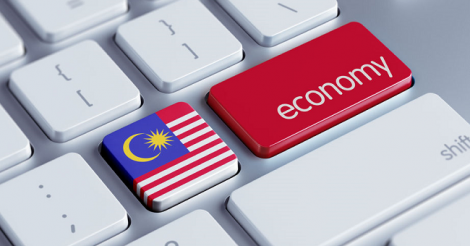 In order to meet raising customer demand, the region is likely to see increasing investment to help the market grow to US$1.161 billion in 2019. Japan and Australia, the two largest markets, contributed over 44% of the total revenue in 2012. By 2019, India and China are likely to account for over 31% of the total market revenue. Due to the uncertain economic outlook as, many businesses have stalled plans to replace legacy systems as capital budgets remain tight. Responding to the explosive growth of social media, many companies also eschewed investment in their agent-facing applications in favour of experiments involving customer forums, mobile applications, and other emerging customer channels. The availability of cloud-based options that offer a viable alternative to traditional technology further curbs sale volumes of premised based contact centre applications, Frost & Sullivan said in a statement. “With limited green field opportunities, vendors have turned their focus to upgrades and new technology advancements,” said Frost & Sullivan ICT research manager Krishna Baidya. Since, most Asia Pacific markets continue to be price-sensitive; the pressure to be cost-effective continues to emphasise the optimisation of contact centre operations. This will result in boosted demand for workforce optimisation tools as well as analytical tools that can help companies understand customer interactions better. The adoption of such tools will help sustain the growth during the forecast period, Frost & Sullivan said. Growth patterns may also vary greatly across countries in the region. Enterprises with a presence in multiple countries in Asia Pacific have consolidated their contact centres to more competitive strategic locations, such as the Philippines and Malaysia. Such consolidations have boosted optimisation and maintained the quality of customer care, thereby widening market potential. The BFSI (banking and financial services industry) and telco sectors dominated investment in the last year. The government sectors in Australia, Singapore, Japan, India and Malaysia have also shown significant demand in line with their push for enhanced citizen services. Investment per seat continued to be higher in relatively mature markets, where pricing as well as the sophistication of applications are higher than in emerging markets. “Despite the economic downturn’s effect on the buying patterns in the Inbound Contact Routing (ICR), IVR (interactive voice response), and outbound markets, all performance optimisation segments (in particular analytics) witnessed good growth,” said Krishna. “Available budgets were used to purchase analytics tools that help businesses save money, decrease churn, and improve customer relationships – all classic contact centre drivers. “Business cases for social networking activities in support of customer contact are just emerging. So, support for social networking has become a high priority for early-adopter enterprises, particularly large business-to-consumer (B2C) enterprises,” he added.